The Story line of this weeks Haftarah: 8:13-17 The Prophet envisions the destruction of the kingdom of Yehuda. 8:18-23 Isaiah laments Israel’s misfortune. 9: 1-8 The Prophet now speaks about the cause of the future destruction. 9:9-10 The Prophet mourns the destruction. 9:11-13 The root cause of Israel’s doom. 9:14-15 Israel’s predicted punishment. 9:16-21 The Prophet advocates morning now for the upcoming destruction.9:22-23 The life program of a Jew. The Connection of the Haftorah to Tisha Be’Av: We read this haftorah today in order to help put us in the right state of mind for the day. It is therefore read to the tune of Eichah, instead of the normal tune for haftorahs, and instead of speaking of hope, this haftorah speaks of destruction and sadness. Haftorahman’s thought of the week: The Temple was destroyed as a result of Israel’s complete disregard for the Torah. On Tisha Be’Av, it is appropriate to make an effort to fix the sin which caused the destruction. We should therefore attempt to take upon ourselves one or two small things that we will do better from now on. Isaiah’s Biography: The name Isaiah means “Salvation of G-d”. Isaiah wrote his own book, which is 66 chapters long. His father was a prophet named Amoz, and he was from a royal family who had access to the Bait Hamikdash. He was born in the year 765 B.C.E. (8th century) about 2760 years ago. Isaiah was twenty-five when he received his first vision. He was also considered to be the greatest of all prophets after Moses. Three other prophets lived in Isaiah’s time; Hosea, Amos, and Michah. Isaiah was born circumcised, and lived through the reigns of four different kings; Uzziah, Yotham, Ahaz, Hezkiah. Isaiah lived 120 years, and he had two children with his only wife. He claimed to have seen the throne of G-d, and he predicted Israel’s demise. Isaiah was killed by Menaseh, the King of Judah. Isaiah was hiding from Menashe, the King of Judah, in a tree, but as Menashe was passing by the tree, he spotted Isaiah's tsitsit hanging out of the tree. Menashe then cut clean through the tree, and killed Isaiah. Since Isaiah spoke lashon ha'ra about the nation of Israel, as a midah ki-neged midah when he was killed, he was cut through the mouth. 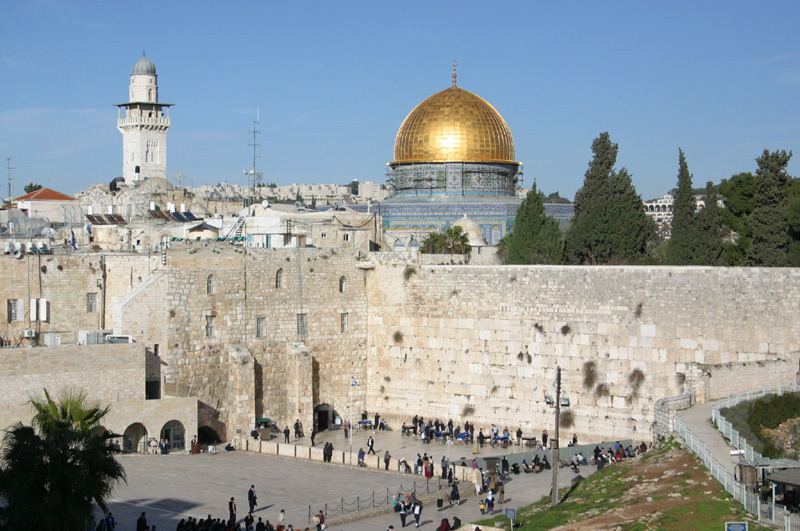 Timeline: This Haftarah takes place just before the Bait Hamikdash was destroyed about 2600 years ago. 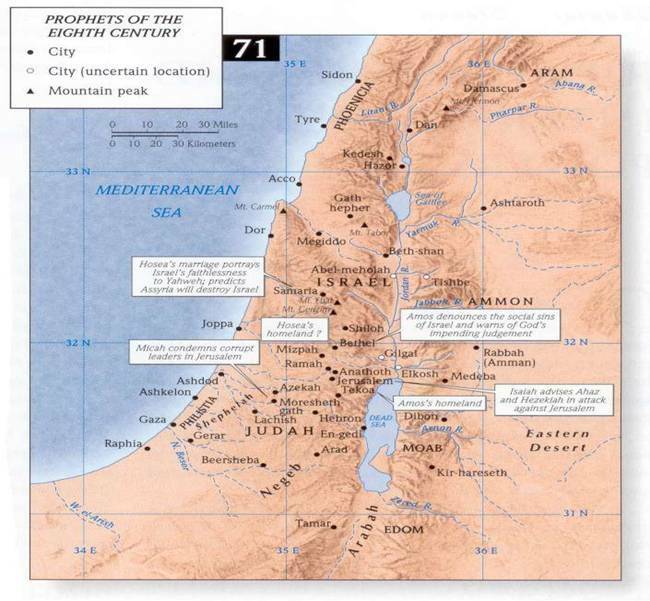 Map: Isaiah prophesied in Jerusalem.